Expired 7mo ago . Last validated 9mo ago . Used 54 times. 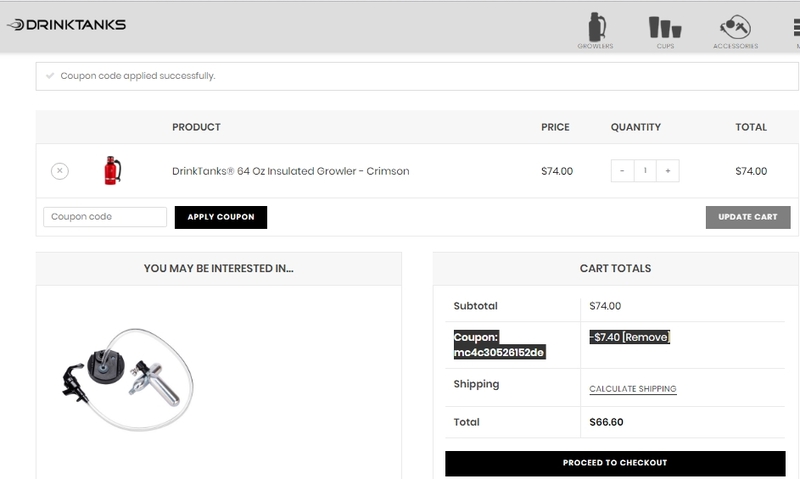 LOUIS RAMIREZ Get 10% Discount at DrinkTanks, first add to the cart the items that you want to buy, apply this promo code at checkout and enjoy your discount. Noriko Watay Simply enter the code during the checkout process to apply this discount. There may be some exclusions that apply to this deal.